2016 IN THE REAR-VIEW MIRROR: Were you away from fybush.com last week? You can still check out our Year In Review coverage, free to all readers! We brought you The Year in Station Sales, The Year in People and Formats (parts one and two), The Year’s Top Ten Stories and Those We Lost. As 2017 dawns, we’re right back into our weekly comprehensive coverage of radio and TV across the region, now entering our 24th year – and we hope you’ll continue to support our journalism. You can get this comprehensive news coverage every Monday, for as little as 29 cents a week! Here’s where to join. And of course you can support us, too, with your order of Tower Site Calendar 2017 and other goodies at the Fybush.com Store! *After a full year of headlines about NBC’s unorthodox launch of a new owned-and-operated station in Boston, was there any question about where NERW would be parked on New Year’s Eve? Twenty-two years after our VHS machines were rolling on the affiliation swap that brought NBC to WHDH-TV (Channel 7), our hard drives were filling up with video as Comcast made its much-anticipated launch of “NBC Boston” over multiple DTV signals and a full market’s worth of cable and satellite systems. For a few hours on Saturday night, there were effectively two NBC stations in town – on Ed Ansin’s WHDH, one last night of NBC network programming played out, including a mention of the affiliation swap at the end of “NBC Nightly News” and promos for upcoming network shows during a prime-time network new year’s special and the very last NBC show to air on Channel 7, a rerun of “Saturday Night Live” that wrapped up at 2:03 AM on Sunday. On Sunday morning, NBC took the wraps off its new studio in Newton, officially launching its own local newscasts at 5:30 with its full weekday morning crew, traffic reports and all; “Sunday Today” became the first NBC network show at 8, followed by more local news at 9. *For now, Boston becomes one of the most competitive news markets in America, with five major local newsrooms battling for viewers almost every hour of the day. Ansin, of course, is betting heavily on local news as the cornerstone of his newly-independent WHDH, hoping that the station’s two decades of top-rated local newscasts have built a habit that will keep viewers coming back even without the “Today” show, Jimmy Fallon, Sunday football and NBC prime-time to draw them. *As for Comcast/NBC, its over-the-air worries already seemed to be fading as 2017 dawned. The addition of the 60.5 signal over WMFP gave NBC Boston signal equity with the other big Boston stations, and its full cable and satellite carriage is where most viewers will see it anyway. NBC spared little expense promoting the new station, with billboards and newspaper ads highly visible during our time in Boston. Will viewers make the switch to a completely new local news team on a “channel 10” they’ve never heard of before? The draw of NBC network programming and familiar faces such as Lipof and chief meteorologist Pete Bouchard (ex-WHDH) will bring viewers in, to be sure – but there are three more potent news operations that will be fighting every step of the way for those eyeballs. Hearst’s WCVB (Channel 5) appeared to launch its 45th anniversary celebration a few months early, staking its claim as the most stable local station in town even as DirecTV viewers lost access to the station (and its Hearst sisters across New England) in a carriage dispute. Another DirecTV dispute also pulled Cox’s WFXT (Channel 25) off some TV screens, which will become a big deal as Fox’s NFL post-season coverage gets started and the Patriots fight for another championship. And CBS’ WBZ-TV (Channel 4) chimed in with its own “legacy” ads touting its heritage as New England’s first TV station. Here, perhaps, is the biggest question we’ll be asking in 2017 and beyond: is this entire battle, in some sense, yesterday’s news? For all the investment that Comcast, Ansin and their competitors are making in local TV news, it’s a medium that younger audiences seem to be rejecting en masse. There are interesting days ahead, and we look forward to documenting them as this column kicks off its 24th year of service to the region. *What else was making news while we were in our old stomping grounds of MASSACHUSETTS over the weekend? At Entercom’s WAAF (107.3 Westborough)/WKAF (97.7 Brockton), 2017 starts with one big set of changes and could soon bring another. A realignment of airshifts takes effect at the rock station today, moving Mike Hsu from middays back to the Hill-Man morning show and Mistress Carrie back to middays, where she held court until 2005. WAAF’s new afternoon show will pair comedians Matty Blake and Nick Stevens. But will the new lineup be heard on 97.7 for very long? It appears that Entercom is poised to flip the format on that half of the simulcast any day now, leaving rock on the suburban 107.3 signal and repurposing the city-focused 97.7 facility into…what? The rumor mill suggests either classic hits (filling the void CBS left behind a few years ago with the WODS flip to top-40) or urban AC, possibly heading off Beasley’s impending launch of its new 106.1 translator/WRCA (1330) combo. Where are they now? John Osterlind, who moved from WAAF to talk at WRKO and then relocated to New Orleans, has landed a new gig back at Entercom. Osterlind, who’d worked at iHeart’s WRNO (99.5) until his job was eliminated two years ago, will take over mornings at “Bayou 95.7” (WKBU) in New Orleans, replacing the syndicated Walton & Johnson show. We send our deepest condolences to WATD-FM (95.9 Marshfield)/WATD (1460 Brockton) owner Ed Perry on the death of his wife Carol Ebert Perry. Ed and Carol were partners in several applications for new signals before they got married, and Ed joked that their marriage may have been the only one that needed FCC approval. The Perrys’ biggest accomplishment was the successful application for the Marshfield station in the 1970s, creating one of the nation’s outstanding suburban radio stations in a location that Carol Perry chose using her background in economics. She’d been suffering from breast cancer; she died Dec. 26 at 69. Giles Threadgold, who died Dec. 18 at 92, was a World War II veteran, a longtime college sports referee and hockey coach – but we remember him here for his many years as a colorful on-air sidekick to WRKO (680)’s Howie Carr, as well as his work on WXTK (95.1) on Cape Cod, where he’d lived in Falmouth for half a century. And we also remember Elizabeth Tedesco, whose radio career soared along with “Kiss 108” (WXKS-FM 107.9) in the early 1980s. Kiss listeners knew Tedesco as “Lisa Lipps,” co-hosting mornings with Matty Siegel and delivering daily soap opera updates. She was 59 when she died Dec. 20. Does DePetro have another gig lined up? Did Cumulus yield to pressure from advocacy groups who took offense to some of the host’s controversial language? What becomes of WPRO without two of its biggest names, DePetro and the late Buddy Cianci? That’s sure to be a big story in 2017. *On the technical side of things, WBRU (95.5 Providence) is leaving its longtime transmitter site in East Providence. 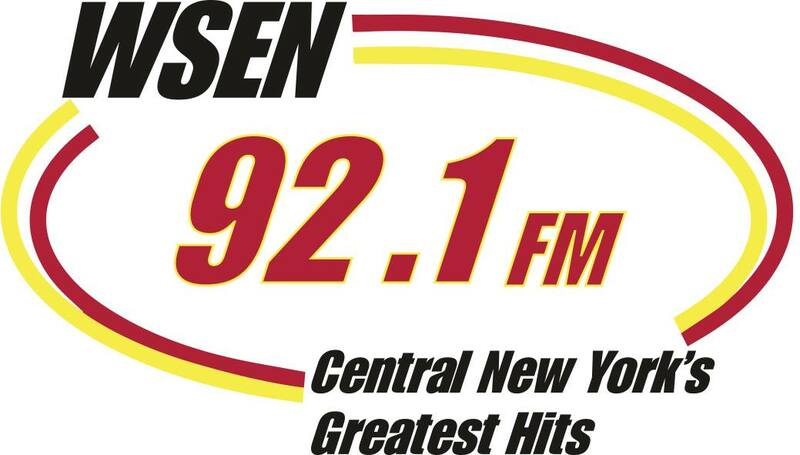 The Brown student-run station built a full-power auxiliary site on Peck Hill in Johnston a few years back, and now it has applied to relicense the aux site as its main transmitter. Instead of its present 18.5 kW/139 m from the WHJY (94.1) tower on Eastern Ave., WBRU will run 26 kW/209 m DA from Peck Hill. *In CONNECTICUT, tomorrow morning brings a new local morning show to Connoisseur’s WFOX (95.9 Southport). Instead of the simulcast of WPLR (99.1)’s Chaz and AJ that’s been running there, Ken Tuccio will take over with “First Thing Fairfield County,” which he’ll add to his existing gigs as host of the “Welcome to Connecticut” podcast and the new “Local Drinking Show” on New Haven’s WTNH (Channel 8). We still don’t know Connoisseur’s plans for its other station that’s dropping the Chaz & AJ simulcast; that’s WDRC-FM (102.9 the Whale) in Hartford. *A veteran VERMONT news director is heading back to government work for a second time. Anson Tebbetts left WCAX-TV (Channel 3) in Burlington to become the state’s deputy secretary of agriculture, then came back to WCAX seven years ago for another run as news director. Under new Vermont governor Phil Scott, Tebbetts returns to the agriculture department, this time as secretary. No replacement has been named yet at Channel 3. There was a quiet format shift along the Connecticut River near the end of 2016 at several Saga stations: WKVT (92.7 Brattleboro) shifted from classic hits to classic rock as “Iconic Rock” on Dec. 19; its sister station across the river in NEW HAMPSHIRE, W276CB (103.1 Keene/WKNE 103.7-HD3), moved from classic rock “The Mountain” to classic country as “WINK Classic Country,” paired with country WINQ (98.7 Winchester). *In NEW YORK City, police are still trying to solve the hit-and-run death of “DJ Jinx Paul” of WSKQ (Mega 97.9). Jean Paul Guerrero was leaving a gig in East New York, Brooklyn on Dec. 19 when he was hit by a Honda Accord that took off. Police initially arrested a man they thought was the car’s driver, but those charges were dropped after evidence suggested the car was being driven by a woman. Guerrero, 39, is survived by a six-year-old son. *Barry Robinson didn’t make his career in radio, but in his college years at the University of Rochester, he was a founder of the school’s radio station. Robinson put WRUR on the air in the late 1950s as a carrier-current signal while he was studying mechanical engineering; in later years, the station went to FM in 1966 as a 10-watter on 90.1 and eventually grew to today’s big signal on 88.5. Robinson was living in Redding, Connecticut when he died Dec. 27 at age 81. Out on the eastern tip of Long Island, Bold Broadcasting launched WELJ (104.7 Montauk) with its new soft AC format on Dec. 26. As our sister site RadioInsight reported, WELJ’s new format followed a stunt with Christmas music. *In PENNSYLVANIA, Cary Simpson was a legendary figure in local radio. As owner of the Allegheny Mountain Network, he presided over a web of stations that once stretched from the Maryland border (in Shippensburg and Chambersburg) to the New York line (in Smethport and Coudersport), all headquartered in his longtime home of Tyrone at WTRN (1340) and WGMR (101.1). Simpson remained active at WTRN into his final weeks, broadcasting local news and sports. He’d been ill recently, and died Dec. 27 at 89, remembered fondly by many whose careers he’d helped to start. *Beasley has named a new morning team at variety hits “Ben-FM” WBEN-FM (95.7 Philadelphia), where Marilyn Russell didn’t make the move from the former Greater Media ownership. Matt Cord moves from nights at sister WMMR (93.3), while Kristen Herrmann shifts to mornings from production and middays at BEN-FM. Jacky Bam Bam moves from overnights to nights at WMMR to replace Cord. *NEW JERSEY radio listeners knew Mitchell Elkins as “Mike Landry” through many years at Trenton’s WBUD (1260) and WKXW (101.5). The Philadelphia native started his career at the old WEEZ (1590 Chester PA) in 1969, worked at WPEN (950) and the new WMGK (102.9) in Philadelphia in the 1970s, then had a long run as WBUD’s morning man and WKXW’s PD in its “FM 101 and 1/2” days. Elkins had been suffering from prostate cancer and non-Hodgkin’s lymphoma; he died Dec. 26 at age 70. *In CANADA, 2016 ended with yet another extension for TTP Media’s new English-language talk station at 600 on the dial in Montreal. TTP says there have been additional delays in converting the former Cogeco transmitter site in Kahnawahke, south of Montreal, back to operating on 600 kHz after it had been reworked for the signal of the former CINF (690). The CRTC’s latest extension for TTP’s 600 signal gives the company up to June 30, 2017 to put the English station on the air; its French station, CFNV (940), is operating with just a barebones loop of music programming that barely met the CRTC’s final deadline to get on the air late last year. *CBS Radio’s cuts continued into the new year in NEW YORK City, where WCBS (880) morning co-anchor Pat Carroll is out after more than two decades at the station. Wayne Cabot moves from afternoons to replace her in morning drive, with Michael Wallace taking Cabot’s afternoon shift. In both morning and afternoon drive slots, WCBS is adding additional traffic reports, which will now run every five minutes. Keefe died December 26 at her home in suburban Rochester, at age 90. *It was a rough start to the new year at VERMONT‘s WEQX (102.7 Manchester), where the pole atop the station’s broadcast tower atop Mount Equinox collapsed in a winter storm on Tuesday morning, sending the two-bay antenna to the ground and knocking the alternative rocker off the air. Within two days of the collapse, engineers had a temporary antenna back in place, and they’re hoping to have ‘EQX back to full power within a week or two. *In MAINE, Dan Priestley’s Bangor-market stations are heading to the sale block several months after his untimely death. Priestley’s widow will get $90,000 from Charles Begin’s Pine Tree Communications for WGUY (1230 Veazie), its translator W231CH (94.1) and WWZN (1400 Veazie). WGUY/W231CH have already dropped their oldies format to begin simulcasting Pine Tree’s WRMO (93.7 Milbridge) into the Bangor market. *In Carlisle, PENNSYLVANIA, WIOO (1000) is recovering from a devastating fire Monday afternoon. It happened just after PD Ray Thomas had left the studio building on York Road, and in the space of just a few minutes it spread from the first-floor ceiling to damage much of the structure. The good news is that Thomas was able to recover the studio computers, and the station was back on the air from its transmitter site less than a day later. It will soon move into temporary quarters while its owners figure out what comes next for the classic country station, which is also heard over WEEO (1480 Shippensburg) and two FM translators. Veteran Steel City jock Jim Krenn is gone from the WDVE (102.5 Pittsburgh) morning show, though Clear Channel says he’s still an employee of the rock station. PBRTV.com reports the morning show continues with Krenn’s colleagues Randy Baumann, Val Porter and Mike Prisuta. Also departing Pittsburgh is KDKA newsman Bill Rehkopf: he’s headed back to the Washington, DC area to be morning co-anchor at CBS Radio’s new all-news WNEW (99.1), set to launch January 19. The new year brought yet another new format to one of NEW YORK‘s more troubled FM frequencies of late, as CBS Radio made a January 2 (1-02-7, get it?) flip on WNEW (102.7 New York), ditching rhythmic AC “Mix 102.7” in favor of “Fresh 102.7” adult contemporary. By the time the flip finally happened at 5 AM Tuesday, it was no big surprise – the entire “Mix” airstaff was already out the door before the format changed, and the new URL (fresh1027.com) had already been sniffed out by the usual messageboard crowds. The new format wasn’t hard to figure out, either – after recent talent changes at Clear Channel’s longtime market-leading AC “Lite” (WLTW 106.7), there’s probably as much chance of stealing some of Lite’s audience as there’s been in years. No airstaff has been announced yet for the new “Fresh,” though we’d be stunned if they weren’t at least talking with ousted Lite staffers such as Bill Buchner and J.J. Kennedy. One big change, though: after the WNEW calls survived FM talk, two incarnations of “Blink,” and several versions of “Mix,” they’re finally being retired from 102.7 just shy of their fiftieth anniversary there. Mark down “WWFS” as the new calls for “Fresh” – and look for the WNEW calls to follow much of their old audience south to Florida, where CBS Radio will park them in its West Palm Beach cluster. Eight years after it brought Radio Disney to the New York City airwaves with a long-term LMA of WQEW (1560) from the New York Times Company, Disney is turning its management of the 50,000-watt AM signal into an outright purchase. It’s exercising an option to buy WQEW for $40 million, with the deal set to close within a few months. The Times Company, which is also selling its TV station group (more on that in our Pennsylvania section, below), says it has no intention of selling its last remaining broadcast property, WQXR-FM (96.3). Congratulations to Alex Roman – just a few years after coming to New York from California as chief engineer at WKTU (103.5 Lake Success), he’s taking on one of the most prestigious engineering jobs in the city, replacing Kevin Plumb as chief engineer of WABC (770)/WPLJ (95.5). this is our first chance to recap the last day on the air for legendary morning man Gary LaPierre. Behind the scenes (though visible on the WBZ webcast hosted by Jordan Rich), the studios were packed with current and former colleagues, including many faces your editor recognized from his time at 1170 Soldiers Field Road in the early nineties. Gary’s family was there, too, including his wife, Peg, and his children and grandchildren. And a few minutes later, the entire staff of WBZ lined the long hallway that leads from the radio/TV newsroom up to the lobby, giving Gary and Peg a hero’s farewell as he headed off into retirement. We’ll start this year’s news out in Lakeside, NEW JERSEY – or is it Harriman, New York? In any event, the long-dormant construction permit for the 550 kHz frequency in that suburban area northwest of New York City may finally be on its last legs. Under the call WKNJ, this CP has lingered for years, unable to find a site on the New Jersey side of the line where a directional array could be built, and finally resorting to a plan to move across the state line and diplex with WRKL (910 New City) at its Rockland County site. Just before the holidays, though, the FCC denied WKNJ additional time to construct the station. Permittee Steven Wendell was granted a three-year construction permit to replace his expired CP in December, 1998 (this on a CP that was originally granted back in 1998), and his request for additional time met with opposition from WLUX, the Long Island station just down the dial at 540. WLUX wants to add a second tower for higher power directional operation, and it appears that task would be easier without having to protect WKNJ’s 250-watt daytime signal up in Rockland. It doesn’t look like this fight is over, though; Wendell filed an application for special temporary authority, apparently to begin testing from the WRKL site, and while the FCC dismissed it as moot, we’re fairly certain we haven’t heard the end of WKNJ yet. The big news as ’97 gets rolling here in New England is coming from American Radio Systems’ flagship talker, WRKO (680) Boston. Here’s what we know for sure: After decades of weekday work in Beantown, Jerry Williams is about to be retired to a weekend slot on “The Talk Station.” Williams wrapped up his 10-AM-to-noon show Tuesday by noting that he’d be on the air the rest of the week…but would announce on Wednesday what would happen after that. Sources tell NERW that Williams will move to the 1 to 4 pm spot Saturdays and Sundays, with the weekday timeslot to be given to Dr. Laura Schlesinger, who’s already heard from 10pm to midnight on ‘RKO. Williams has been a Boston institution for more than 30 years, with stints on WMEX, WITS, and WBZ, among others, before joinig WRKO. His stature at WRKO has been slowly diminishing over the last few years, as he’s been shuffled from afternoon drive (displaced by Howie Carr) to the present two-hour midday spot. Meantime, the morning picture at ‘RKO remains hazy. Co-host Marjorie Clapprood walked out on the air Thursday morning, and WRKO pulled her counterpart, Pat Whitley, to give both of them a “cooling-off period.” Pat and Marjorie’s ratings have been on a steady decline — and NERW wonders if this could be a publicity stunt to get them some attention, or perhaps a sign that Herald columnist Howie Carr (whose PM drive talk show on WRKO and several other New England stations has been the lone bright spot for ‘RKO lately) will soon be moving to mornings. A death in the family: Alan Okun, the owner of WGFP (940) and WXXW (98.9) Webster MA and president of the Massachusetts Broadcasters Association, died on December 31 in his hometown of Rochester NY. Okun was only in his forties. He bought WGFP about a decade ago, and put WXXW on the air in the early nineties. No word on what will become of the stations. In print: WBZ (1030) talk host David Brudnoy has been reaping the publicity bonanza with the release this week of his new autobiography, Life is Not a Rehearsal. Favorable notices have included a review in last Thursday’s New York Times, as well as numerous TV appearances. Re DePetro . . . he may have been on “medical leave” through month of December, yet was still heard at least once a week substituting for Michael Savage on his Westwood-syndicated afternoon talk show.